The editors of Asheville Poetry Review are pleased to announce the William Matthews Poetry Prize Recipients for 2018. Rosa Lane, from El Cerrito, CA, was awarded first prize for her poem, “Lane, the Long Meadow,” and will receive $1000, plus publication in The Asheville Poetry Review (Vol. 25, Issue 28, 2018), which will be released in December, 2018. Alfred Corn was the final judge. Second prize is awarded to Kathleen Spivack, from Watertown, MA, for her poem, “M. Caillebotte Paints Mms. Boissiere Knitting.” She will receive $250, as well as publication. Mary B. Moore, from Huntington, WV, was the third prize recipient for her poem “Quaking Grass,” and she will also be published in our next issue. All three authors will be featured at a reading in Malaprop’s Bookstore in Asheville, NC later this summer. The next reading period for the William Matthews Poetry Prize is from September 15, 2018 – January 15, 2019. 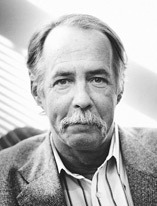 For complete guidelines, please visit www.ashevillepoetryreview.com/the-william-matthews-poetry-prize. Rosa Lane is author of three poetry collections, including Chouteau’s Chalk, winner of the 2017 Georgia Poetry Prize, forthcoming February 2019 from UGA Press; Tiller North (Sixteen Rivers Press, 2016), winner of a 2017 National Indie Excellence Award; and Roots and Reckonings, a chapbook. Named finalist for the 2018 Edna St. Vincent Millay Prize and 2017 Joy Harjo Poetry Prize, her most recent work is forthcoming or has appeared in the Chattahoochee Review, Cutthroat, Nimrod, RHINO Poetry, Sugar House Review, Massachusetts Review, TYPO Magazine, and elsewhere. Kathleen Spivack is the author of ten books of prose and poetry (Doubleday, Graywolf, Knopf, others). Her work has won major prizes. The novel Unspeakable Things was published by Knopf in January 2016. Other books include the memoir With Robert Lowell and His Circle: Plath, Sexton, Bishop, Kunitz & Others and the prizewinning poetry chapbook A History of Yearning. She teaches in Boston and Paris. Mary B. Moore won four poetry awards and had three books published in the last two years. Amanda and the Man Soul was awarded the 2017 Emrys chapbook prize judged by Dorianne Laux; the full-length collection Flicker (Broadkill River Press, 2016) won the Dogfish Head Poetry prize judged by Carol Frost, Baron Wormser, and Jan Beatty; and Allison Joseph chose Eating the Light (2016) for Sable’s Books’ chapbook contest. Poems are forthcoming in The Gettysburg Review, Birmingham Poetry Review, Cold Mountain Review, Nimrod, Nelle, and work has appeared recently in Georgia Review, Nimrod (where she was the second place winner in the Pablo Neruda Contest), The Orison Anthology 2017, Nasty Women Anthology, and more. Poetry, Field, Prairie Schooner, and New Letters also have published her. Cleveland State University Press published her first full-length collection, The Book of Snow (1998). The final judge will read anonymous manuscripts (all identifying information will be removed from the poems). Online entry/Postmark Deadline: January 15 of each year. Send 1-3 poems, any style, any theme, any length, with a $20 entry fee. The Asheville Poetry Review website is in the process of an all-inclusive update. Our mission is to make all of the content of our back issues available online, creating an archive that contains the complete publishing history of our first fifteen years, dating from our first issue, published in June 1994. We thank you for your patience as we update this site. Below you’ll find links to the most recently added poetry, reviews, essays and interviews.